Let's Talk About is a 10 minute scripted television series, which kicked off on October 30, 2015, on FOXTEL Now and is broadcast every Sunday at . The show is currently in its 2nd season. 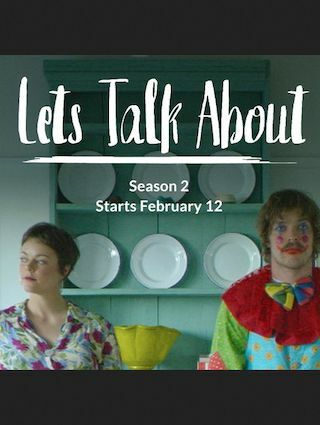 FOXTEL Now opted not to pick up Let's Talk About for Season 3. Let's Talk About officially canceled on FOXTEL Now. Sign up to track down your favorite TV shows. Season one begins with Ben (Richard Davies) broke and Claire (Matilda Brown  creator and star) up the duff. The second season follows their next rollercoaster chapter when daughter Lily is welcomed into the world. Series regulars Bryan Brown and Lisa Hensley return as Claire's uncensored but well-meaning parents joined by Sam Neill, Damian Walshe-Howling, Steve Le Marquand, Andrea Demetriades and Chloe Boreham.